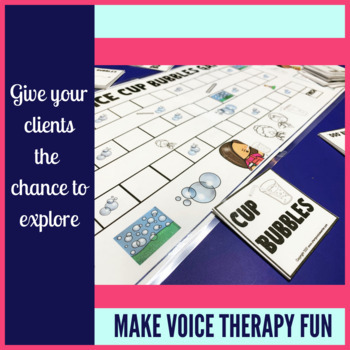 Vocal overuse therapy can be boring, so make it fun with visuals that help bring voice science from research studies to practical application in speech therapy sessions. 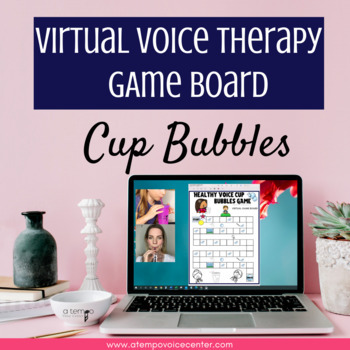 Cup Bubbles for Voice Therapy uses Semi-Occluded Vocal Tract Exercises to help train voice use without the use of "pressing" the vocal folds. 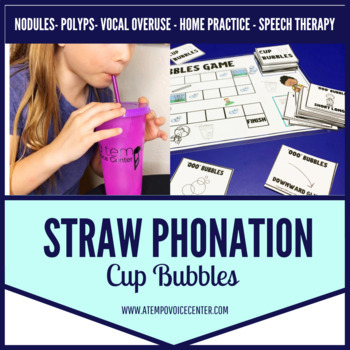 It is intended to help children on your caseload with nodules, polyps and vocal overuse patterns improve speech and voicing. 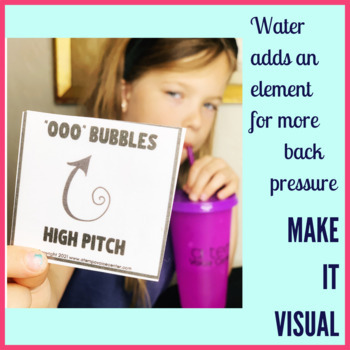 Use glitter in the water or fun food-coloring to help turn this task into fun as you use it in carry over into speech. Includes themed game board and spinner to keep things interesting for your kiddos. Over 30 target cards as well.